Tallebudgera Creek originates on Springbrook plateau and, after being joined by several small tributaries, enters the ocean on the southern side of Burleigh Headland. Tallebudgera Creek originates on Springbrook plateau and, after being joined by several small tributaries, enters the ocean on the southern side of Burleigh Headland on the boundary between Palm Beach and Burleigh Heads. The word tallabuggera was thought to mean good fishing but, according to the Queensland Place Names Board, it is believed to be a distortion of Bunjalung language word relating to soft or rotten timber. 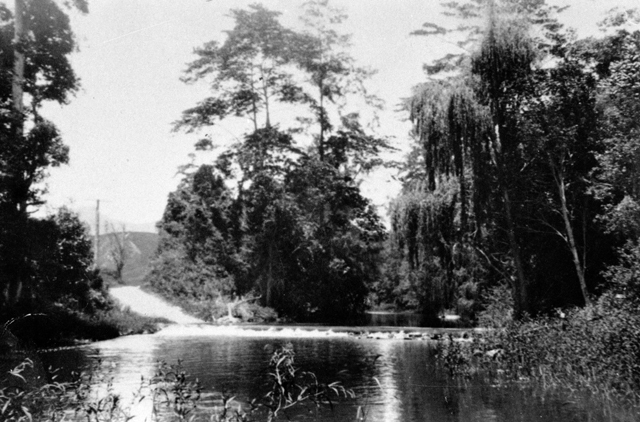 The creek was originally named the River Perry by Surveyor Robert Dixon who named it in honour of Samuel Augustus Perry the Deputy Surveyor-General of New South Wales however, this name was only used for a short time. It was a Tallebudgera settler, Stephen Tobin, who first petitioned for a marine survey of the creek in 1871 hoping that vessels would be able to enter the river and provide better opportunities for trade and access for the growing township and valley. However, like many river mouths along the southern Queensland coastline, the shallow bar offered too many challenges. Timber that was rafted down the Tallebudgera did not always make it successfully across the shifting sandy bar. 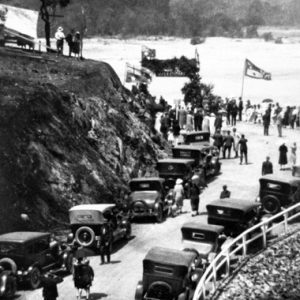 Consequently a large number of timber logs taken from the Hinterland littered the Burleigh headland and beaches to the north of the creek’s mouth for many years. 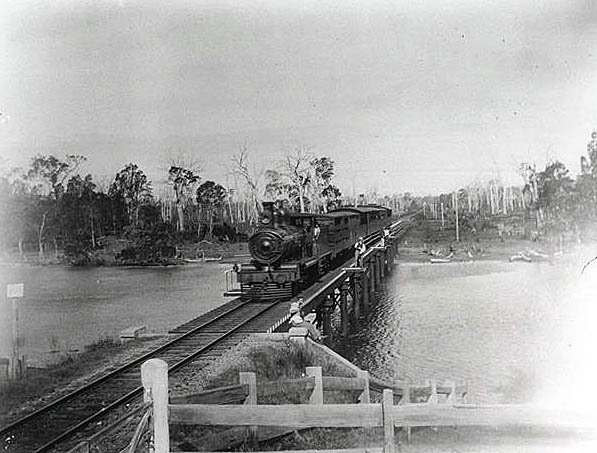 The valley and township of Tallebudgera may have grown faster if not for the decision to run the railway line further to the east closer to Burleigh and crossing much lower down the creek. 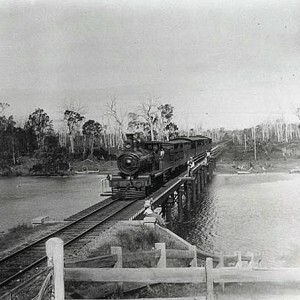 Despite active petitioning by Tallebudgera Valley settlers and farmers the railway was better positioned to service the tourist trade at Burleigh Heads. 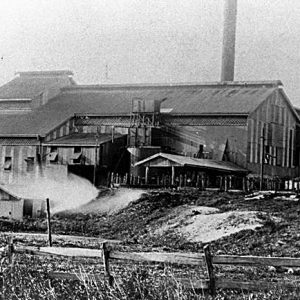 The railway station, originally known as Booningba, not only offered visitors a way to visit the region but also provided an opportunity to enjoy one of the local delicacies from the creek. 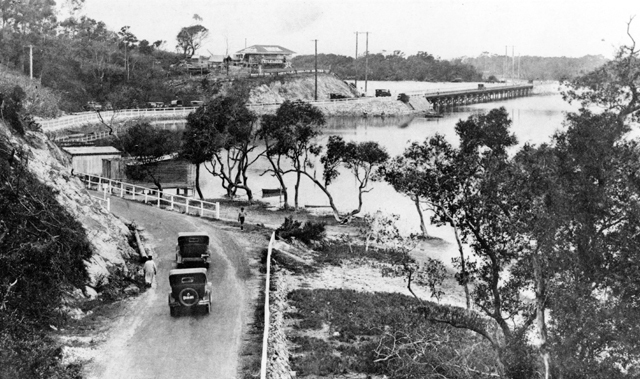 The oysters from Tallebudgera were prized and their popularity resulted in the hotel at the railway station being called the Oyster Bed Hotel. 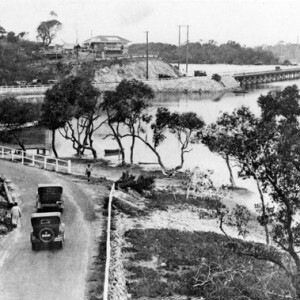 In 1950 Tallebudgera Creek was dammed to act as a source of fresh water for the growing city and is still considered an important water resource if needed. 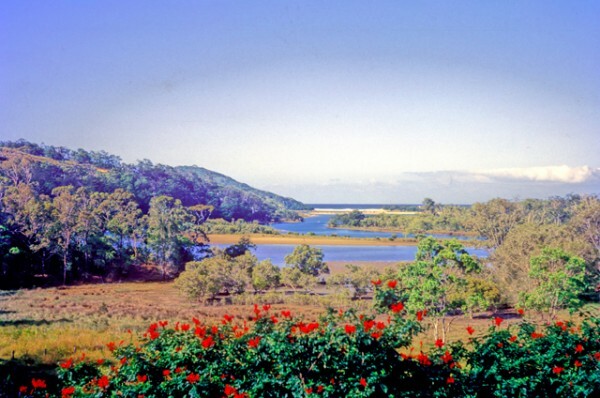 In 1952 David Fleay’s Fauna Reserve was established on the northern bank of Tallebudgera Creek near West Burleigh. 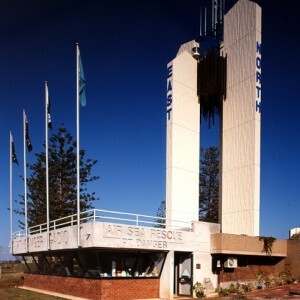 Long subject to dangerous tides, in 1959 patrols of the mouth of the creek commenced by the Neptune Surf Lifesaving Club, the first all-women’s surf lifesaving club. 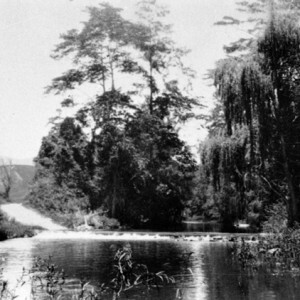 The mouth of the creek is subject to a build-up of sand and at various times, including the 1920s, the mouth of the creek completely silted up. To provide a more permanent solution a southern training wall was established at the mouth of the creek between 1976 and 1981 to help keep the entrance free of sand. Dredging of the creek near the mouth takes place yearly to replenish Burleigh Heads Beach. Operculum, The Tallebudgera Report, vol.3, no.5.6, Sep-Dec 1973, p. 59. 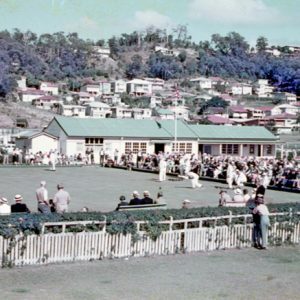 Longhurst, R. A little piece of heaven: history of Palm Beach, Elanora and surrounding areas of Tallebudgera, Gold Coast, Gold Coast City Council, 2007.